Great luxury sometimes comes in small packages. 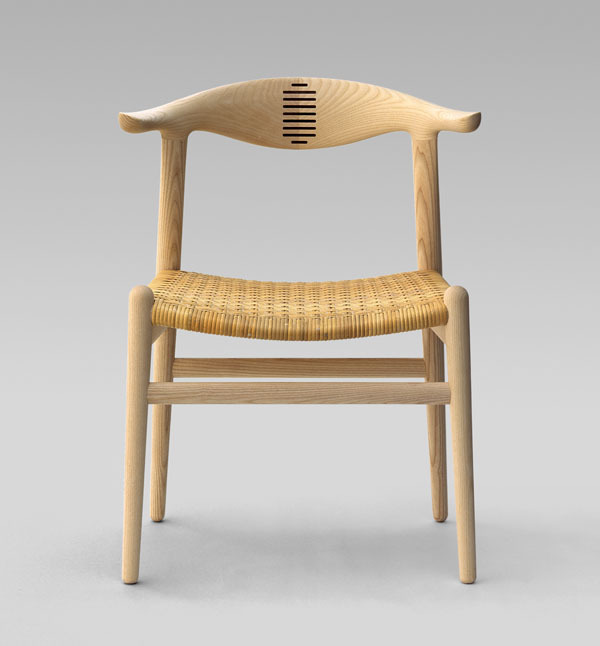 This is one of Wegner’s smallest chairs produced by PP Mobler, but it is an amazing work of art. 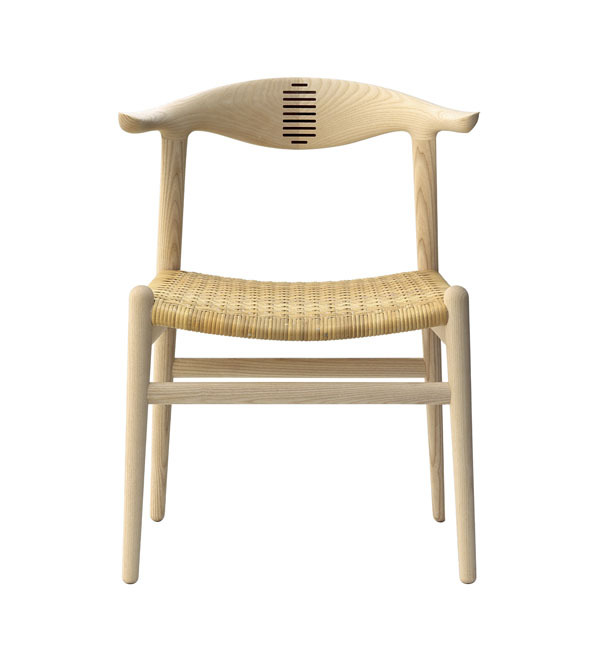 Designed in 1952 the Cow Horn Chair is the immediate follow up on the breakthrough of Wegner’s career, pp501/pp503 The Chair, and the continuity in shape and philosophy is obvious. But serving a different purpose, Wegner created a chair that was to play an important role in the development of his future work. 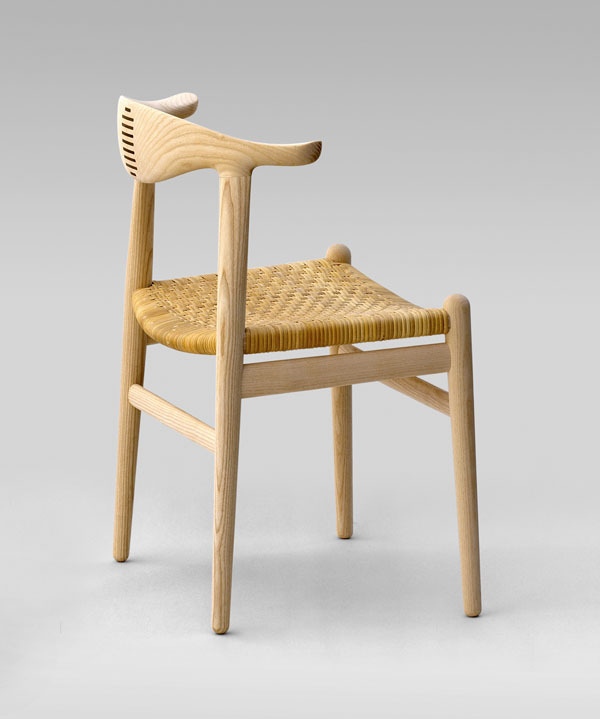 Wanting to pay homage to the breathtaking beauty of solid wood manually carved into organic shapes, Wegner decided to make a compact chair. Hence the number of pieces of solid wood used to form the armrests and back was reduced to only two pieces, joined in the middle. 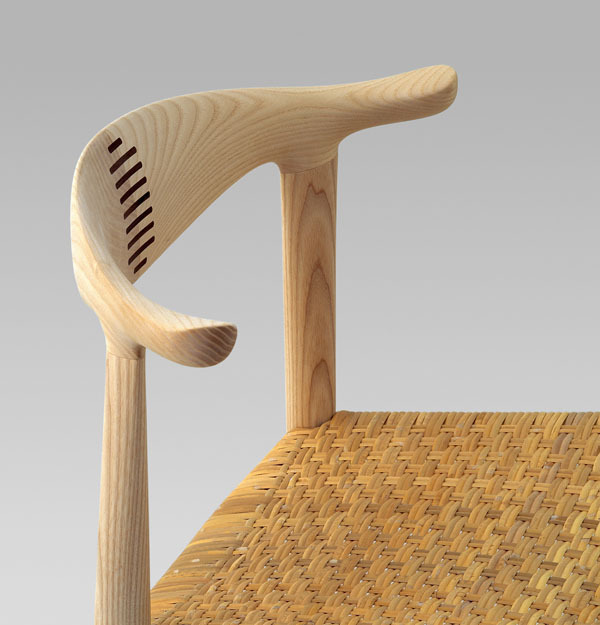 The joint obviously needs to be aligned with the grains of the wood with some kind of tenon and could be dowelled, but in this case Wegner decided that instead of hiding the unavoidable joint he would rather enhance it and make it a decorative feature of the design. To obtain the full visible effect, Wegner used wood of a contrasting colour. This original idea would later become a characteristic trademark in many of his works and it is an important example of his honest and craftsman-like approach to design. pp505 is available with either cane or upholstered seat. As opposed to most other chairs by Wegner that comes with a upholstered seat, this chair is upholstered directly on the seat rails. Before the era of Wegner this was the normal way of upholstering chairs and in the case of the Cow Horn Chair and the Bull Chair pp518, Wegner sticks to the old tradition. The armrests on pp505 are always cut from the same piece of wood, so the grain will match. The joint detail in the back is made of rosewood.